This magical and top PDF Converter Mac helps you convert PDF file to different image formats such as TIFF, JPEG, PNG, GIF, BMP, TGA, PPM, and JPEG2000 simultaneously. It possesses many special editing functions available for you to customize output image file. After the conversion, you can put the output files on other portable devices such as iPad (iPad Pro/mini 4), iPhone (iPhone XS/XR/X/8/7/6s/6/SE), iPod, Samsung Galaxy phone/Tab, Surface, and others. It supports OCR technology, which has the function of improving recognition accuracy of English, German, French, Turkish, Latin, Greek, and Cyrillic, etc.. So that image-based document files can be converted into text files correctly, and the original layout will be kept as it was. You can rename for the output files by clicking “Rename” button, set up its size, color and quality by clicking the output settings button in line with the “Output Format”, and also customize output storage path. 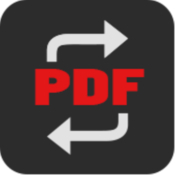 Apart from the basic settings as mentioned before, this PDF Conversing software also lets you convert the selected pages. You can select the page as you like 1, 3, 7, 9 or the serial pages as 1-3, 2-5, to convert the PDF pages you want to other formats. If you install Adobe PDF Reader on your Mac, then you can open and preview the PDF files in this software to make the adjustments duly. This PDF File Converter for Mac software gives you the simple interface to operate, you can handle it effortlessly even as a layman. It allows you to convert more than one PDF file into the same or different formats at the meantime without any time and quantity limitation. Also, you are able to convert multiple PDF files at the same time in amazing speed. With the ultra-intuitive interface and clear design.